In northern Iceland we have met wooper swans a few times. In Grunnavík we saw them raise their young ones, we saw them fight over lakes, we saw them fly and try to distract us. 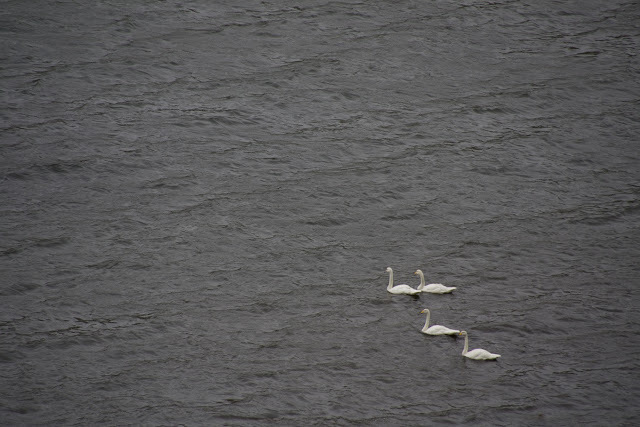 These swans we found in Rekavík (not Reykjavík), out in the Westfjords. They were pretty far away from us in these pictures.